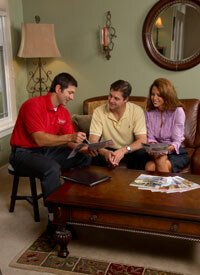 When you buy Bryant, you get an experienced dealer, dependable products and more. Now when you purchase a qualifying Bryant product or system, you can receive a rebate back on your purchase. Now that's what we call a good deal! You can receive a rebate of up to $1,650 when you purchase a complete Bryant Heating and Cooling system that qualifies for the promotion, that includes our energy saving Evolution® HYBRID HEAT® dual fuel system with the Evolution Control. Other products qualify for varying rebate amounts, so be sure to contact us and purchase by November 15, 2018 to be eligible to receive your rebate. Rebates paid on qualifying products only. System rebates range from $0 to $1650 depending on the combination of products purchased. Only consumers within the continental United States and Canada are eligible for this promotion. Only Bryant systems sold as a replacement for the homeowner's existing system or as an add-on to an existing home qualify. No commercial applications, new construction applications or multi-family applications are eligible for this promotion. Homeowners may qualify for a Bryant Bonus rebate by purchasing qualifying Bryant equipment between August 27, 2018 and November 15, 2018. Equipment must be installed by December 15, 2018 and rebates submitted by December 15, 2018, by 6 p.m. CST. Your Bryant expert must be a participating Bryant Bonus dealer. Getting your Bryant rebate is easy just click this link to submit your claim or check the status of a previously submitted claim.